I wonder if we should judge writers not by their best work, but by their mediocre work. Great books stand on their own, whether or not they were written by a great writer. Sometimes, things just align themselves in such a way that you hit the ball out of the park, even if you’re just an average batter. It’s how many hits you still get on an off day that makes you one of the greats. 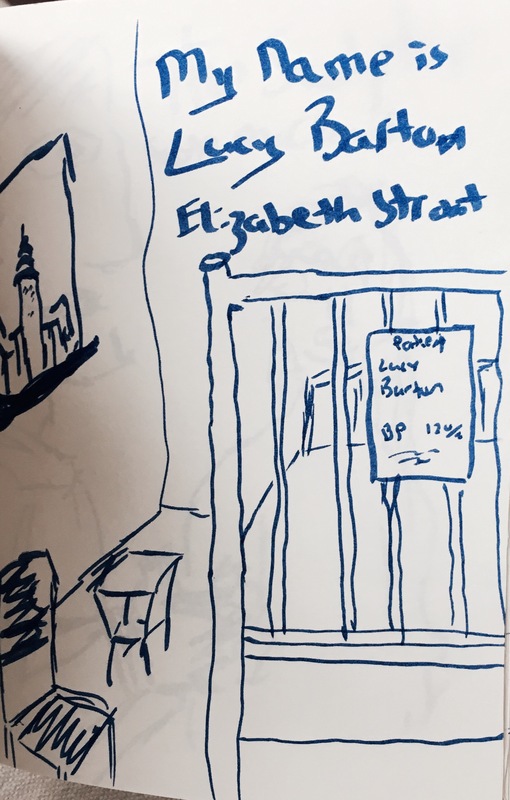 So Elizabeth Strout didn’t hit it out of the park this time, not like she did with Olive Kitteridge or The Burgess Boys. My Name is Lucy Barton is still a fully realized work, still darn good, still a book that will move readers and stay with them afterwards. It’s still a book many writers wish they could have written. One of those stories that a small press, something like NYRB, will re-release in a special edition twenty years from now, a forgotten classic. Ms. Strout likes her characters difficult. Her narrator here is not as difficult as Olive Kitteridge was, but Lucy Barton’s mother sure is. My Name is Lucy Barton is full of characters that are hard to love. The title character comes from a very cold family, emotionally cold and physically cold due to extreme poverty. For most of her childhood, they lived in an uncle’s garage. Lucy Barton escapes poverty, flees her family for some fame and much better fortune in New York City where she eventually becomes a writer. But the past keeps coming back to haunt us, no matter how far we roam. Can we ever fully escape the family of our youth? By the end of the novel, Lucy Barton will come to see that her family was not the collection of emotional monsters it appeared to be. They were more a collection of very still waters, running very deep. It took her a lifetime to really see who they were. That’s a lot to pack into a work that will not stand as one of the author’s best which I think is the mark of a terrific writer. I am making a list of books to read in retirement! This just got a spot! I think it’s one you would like. I have several shelves of books to read when I retire. Wait, did you say retire? Are you going to retire soon? Lucky duck. I’d been shying away from Lucy B. although I loved Olive K., but I won’t anymore. Thanks, James! No need to shy away at all. This is my third by Strout and all three have been very good reads.